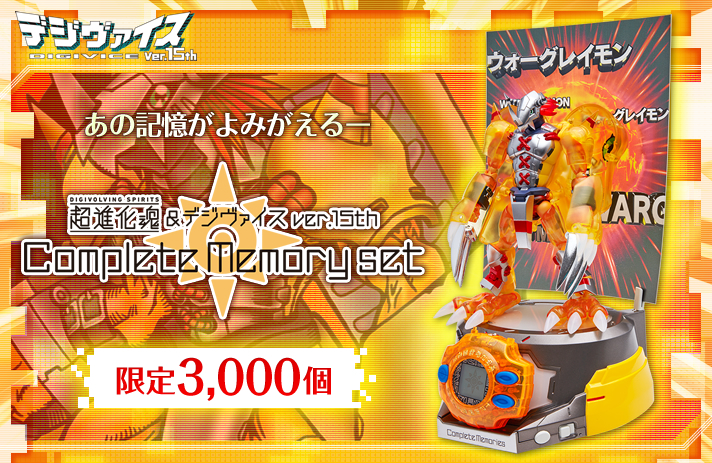 Premium Bandai has updated a new teaser page for the Digimon Digivice 15th WarGreymon Color Complete Memory Set. 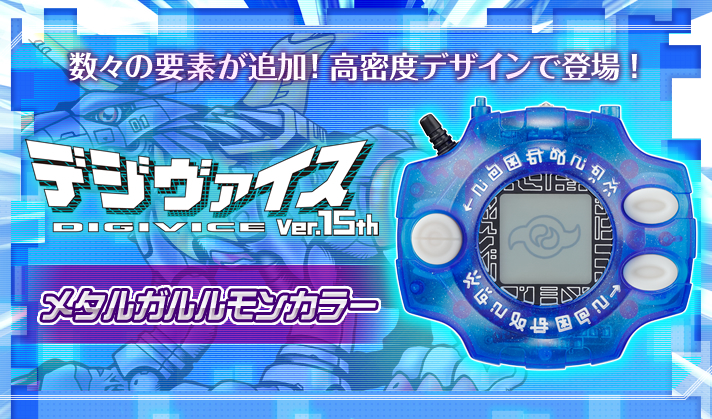 The latest version of the 15th Anniversary Digivice will feature a brand new deco as well as a screen featuring the Crest of Courage. 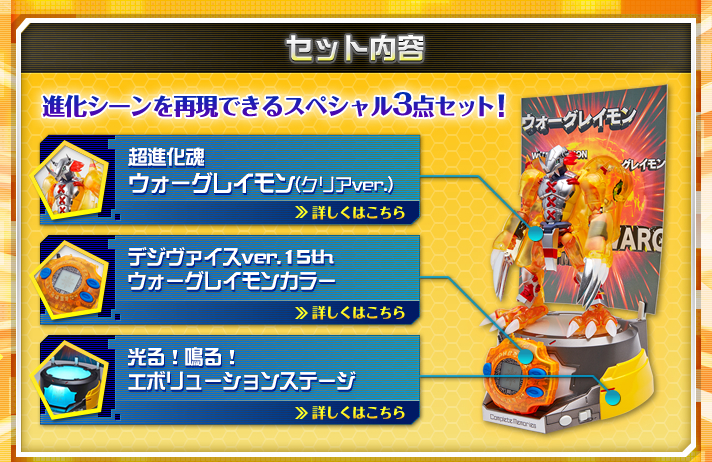 First for the Premium Bandai items is the Complete Memory Set. This limited edition set will contain 3 items and be limited to 3,000 sets. 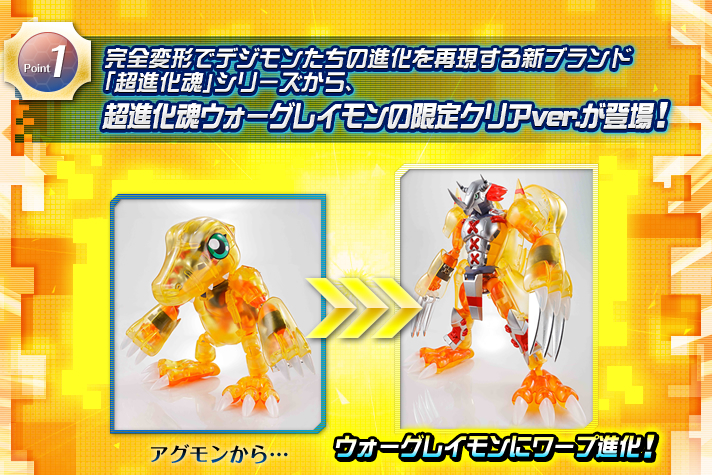 The first item will be a special clear version of the first Digivolving Spirits figure, WarGreymon! This special figure will be (generally speaking) identical to the normal version of the figure, minus its unique attribute of being made from partially clear plastic. The clear plastic leads to a unique look, especially when transformed into Agumon, allowing you to see the various parts of the figure when it’s folded up. 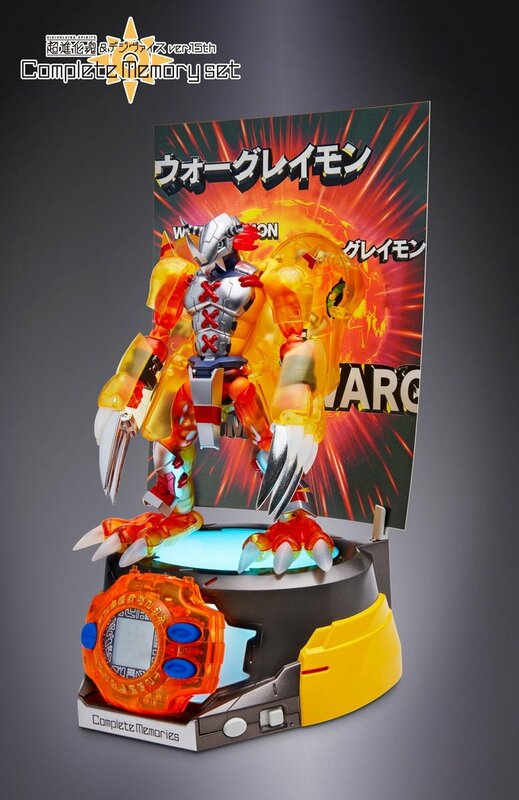 The second item is the previously announced Digimon Adventure 15th Anniversary Digivice WarGreymon Color. As shown off previously, they’ve updated the design by colouring in the digicode etching in gold and adding the crest of courage to the screen. And we also have Skullgreymon and Blackwargreymon. Zubamon from the 20th Anniversary of Digimon and Meicoomon from Digimon Adventure tri.! You can befriend Zubamon after 1. Clearing all of the areas & 2. Winning the battle that occurs after catching a HELP wave. You can befriend Meicoomon by 1. Befriending Agumon, Gabumon, Piyomon, Tentomon, Palmon, Gomamon, Patamon, Tailmon, and Wizarmon, 2. Exceed 120,000 steps walked & 3. Winning the battle that occurs after catching a HELP wave. 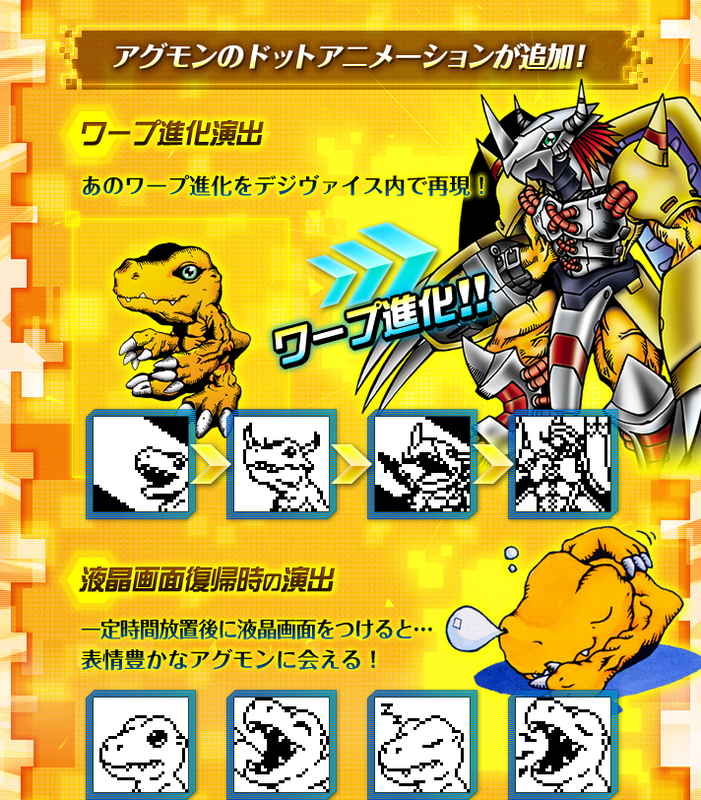 The last new feature for the WarGreymon Color Digivice is to add some new animations for Agumon! Then there will be a collection of animations for when you return to the Digivice after not being around for a bit. Each of these will be fun expressions of Agumon. The third item in the set will be a stand. 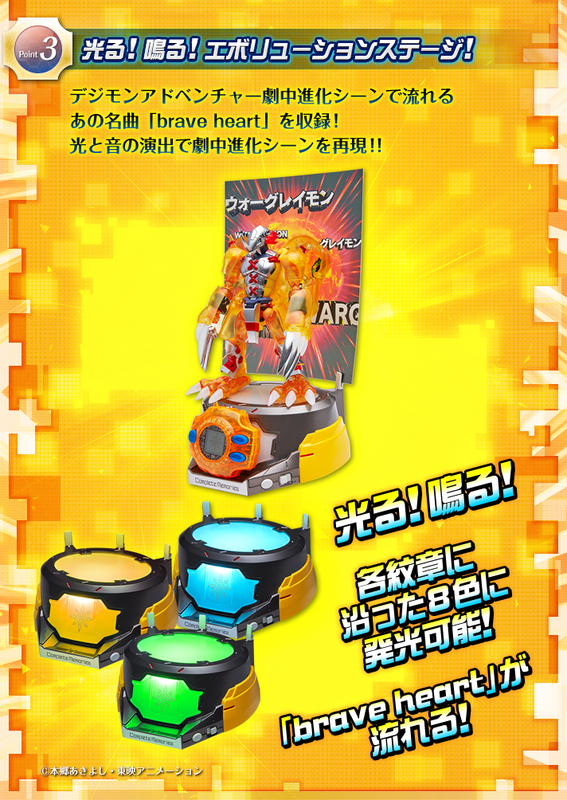 The Evolution Stage itself can play Brave Heart and light up in the colours of all 8 crests. 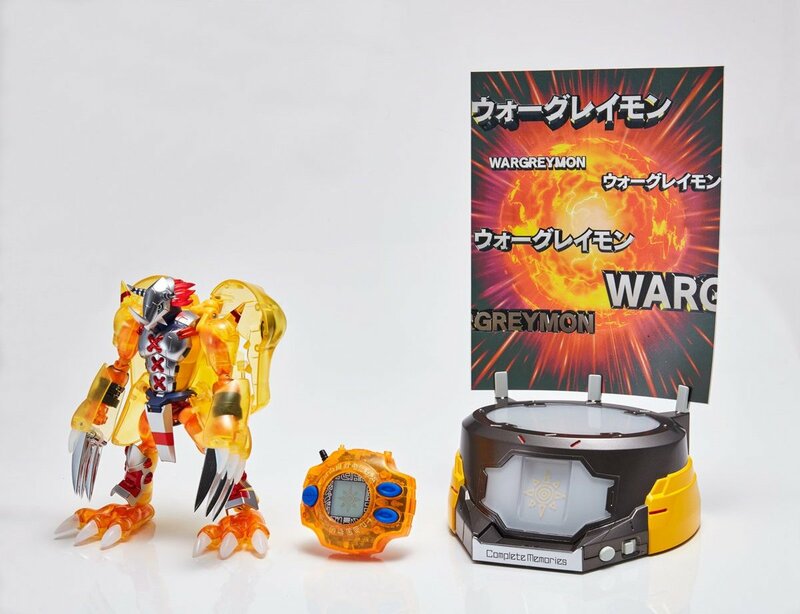 The lights are set up in such a way to light up WarGreymon and the Digivice to mimic the lighting effects you might expect for an evolution sequence. Overall it’s a very exciting looking set that fans should likely try and pre-order as soon as possible. 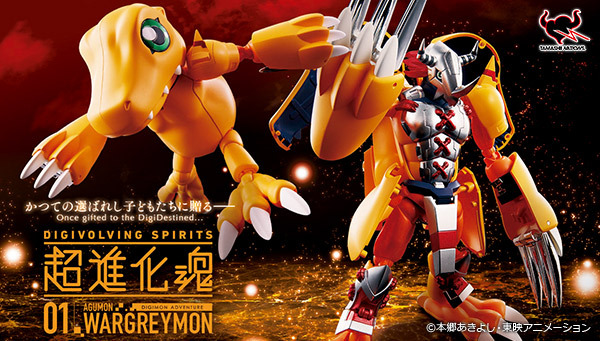 Digivolving Spirits WarGreymon is 6.1 inches tall. 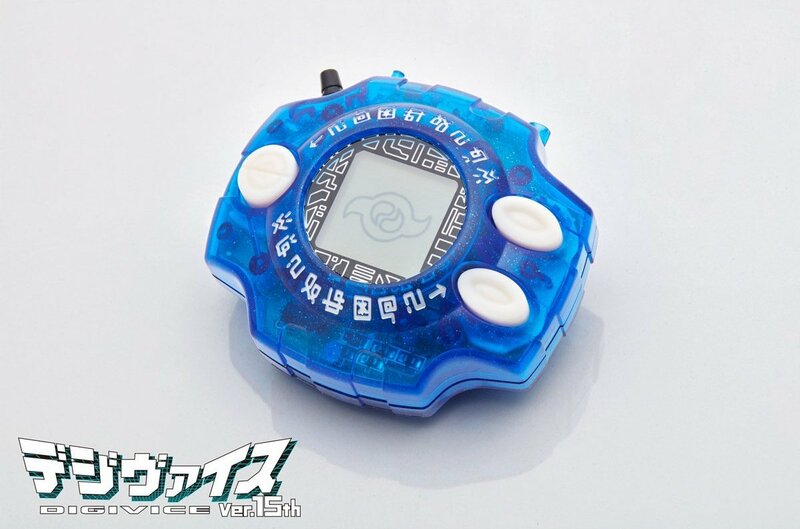 The Digivice is 2.25 x 2.56 x 1.4 inches. The Evolution Stage is 10 x 5.6 x 6.3 inches. 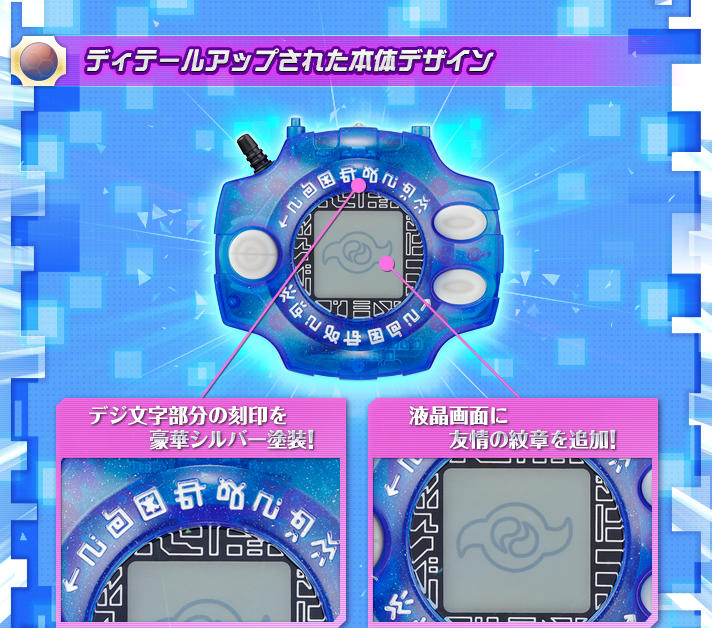 They mention the battery for the Digivice will be included, but the 3 AAA batteries for the Evolution Stage will not. It’s available to pre-order right now at the Premium Bandai store for 19,440 yen. Pre-orders will close on July 31st if they don’t sell out of the 3,000 by then. The set will ship in November. 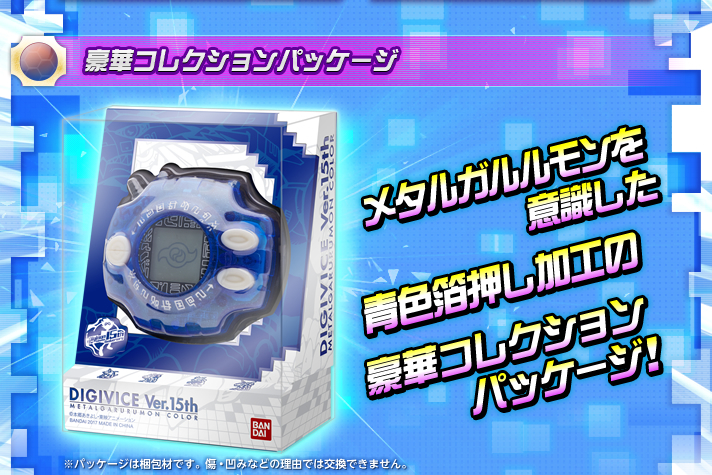 And we also have details of the Adventure 15th Anniversary Digivice MetalGarurumon Version. This one has silver in the digicode etching and features the crest of friendship. 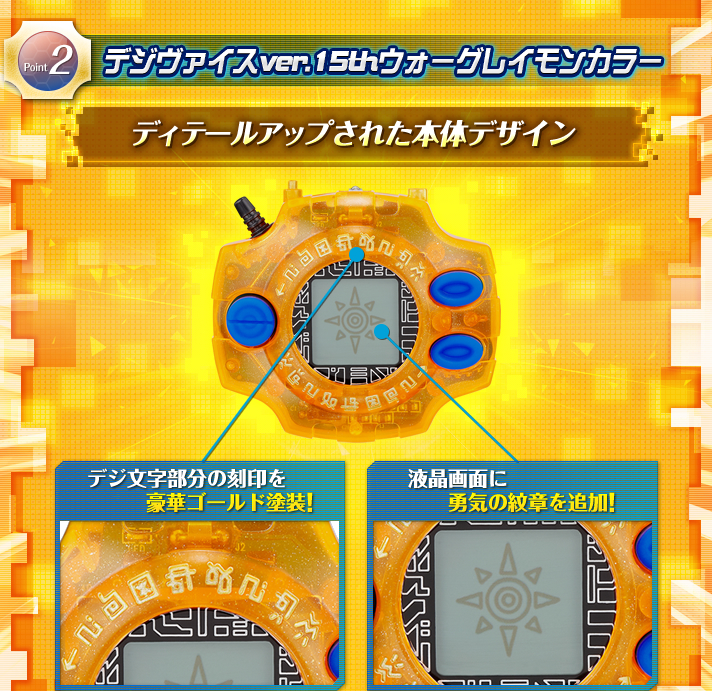 The two new Digimon also appear in the MetalGarurumon Digivice! 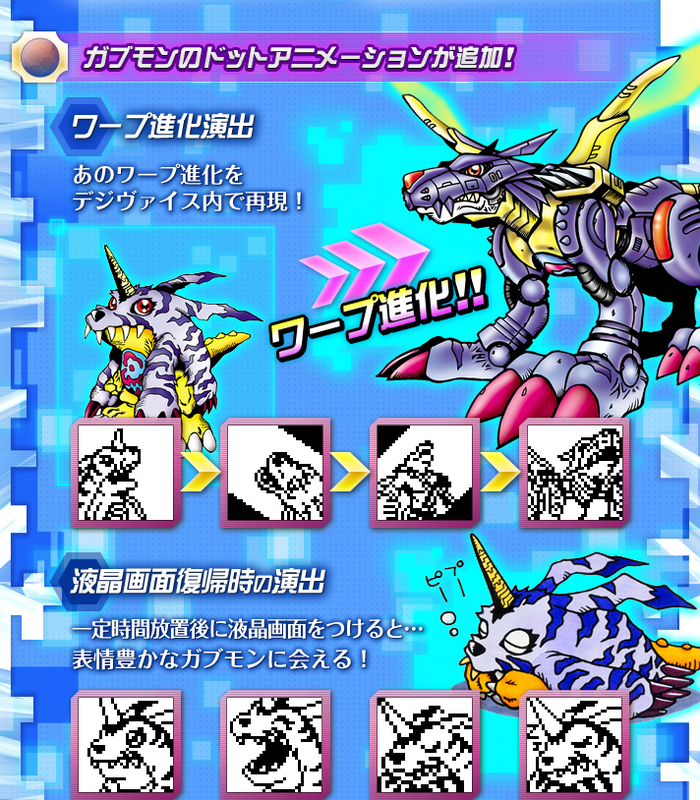 Also The Warp Evolution animation for MetalGarurumon along with Gabumon expressions when you go back to the digivice! 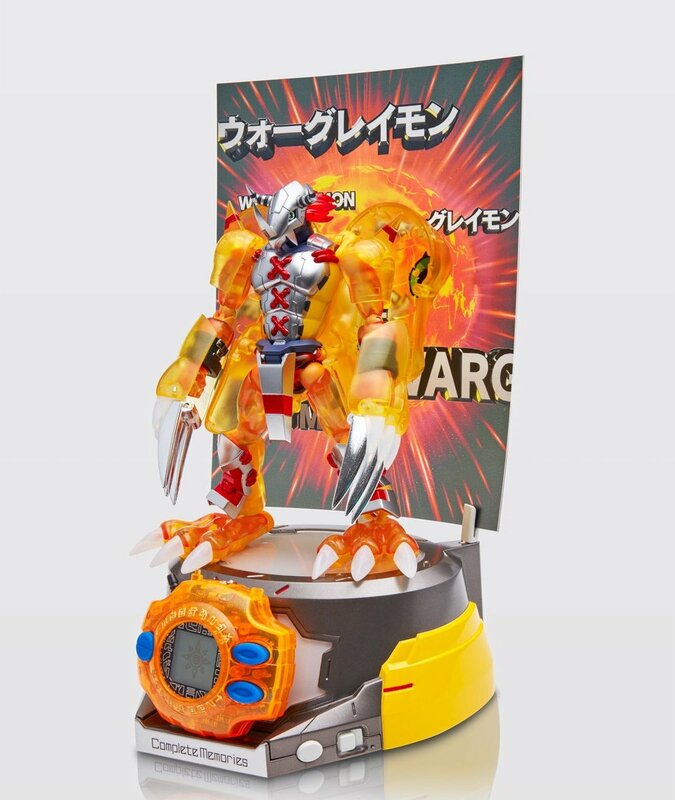 The Adventure 15th Anniversary Digivice MetalGarurumon Color also comes in collector’s packaging designed after MetalGarurumon. 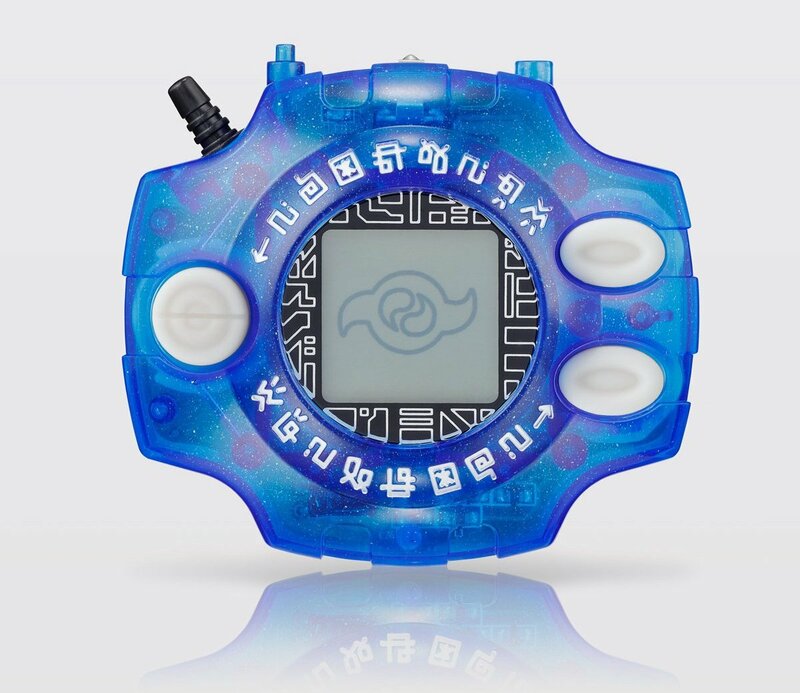 The 15th Anniversary Digivice MetalGarurumon Color is available to pre-order right now at Premium Bandai for 9,990 yen. Pre-orders will close on July 31st if they don’t sell out of the 3,000 by then. The set will ship in November.